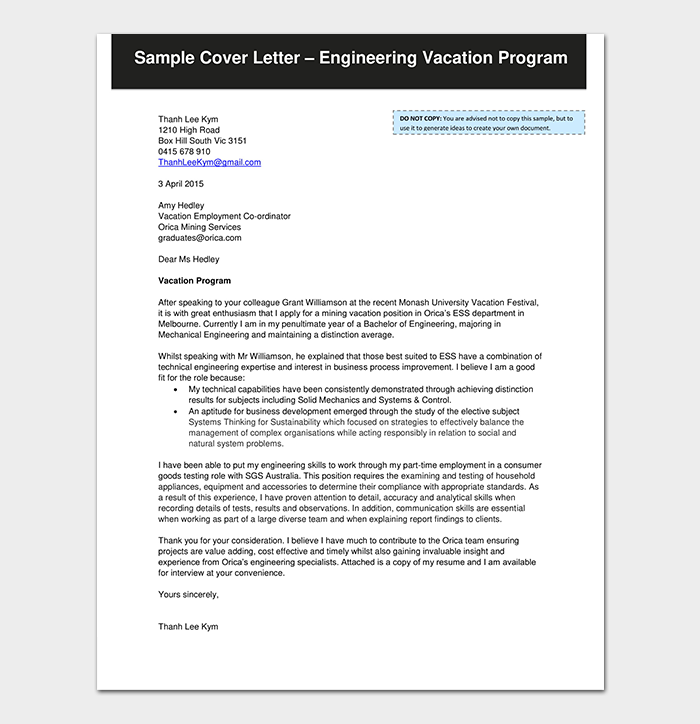 A vacation leave request letter is a formal letter written by an employee to his or her employer to request for some time off from work. 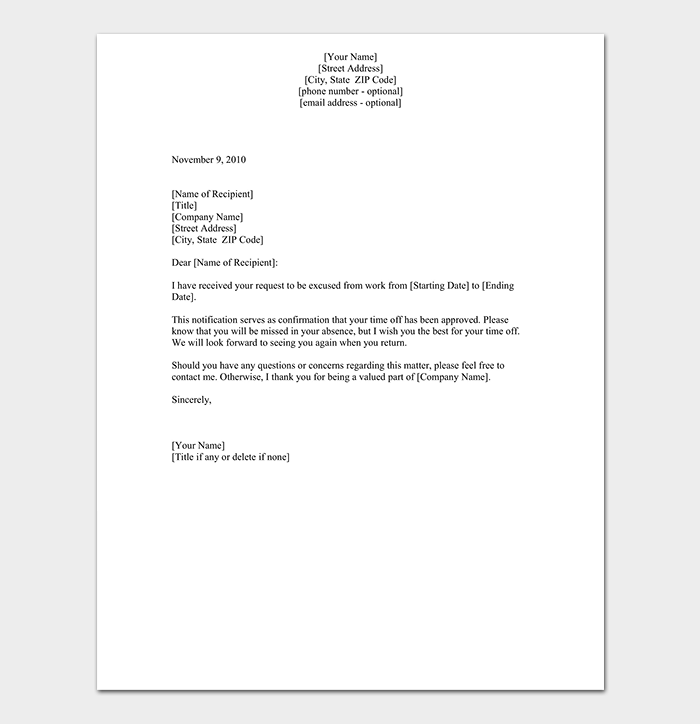 When writing this letter, it important that you use a sample of a vacation leave request letter, this will enable you to avoid problems like failing to include an address or indicating departure date. 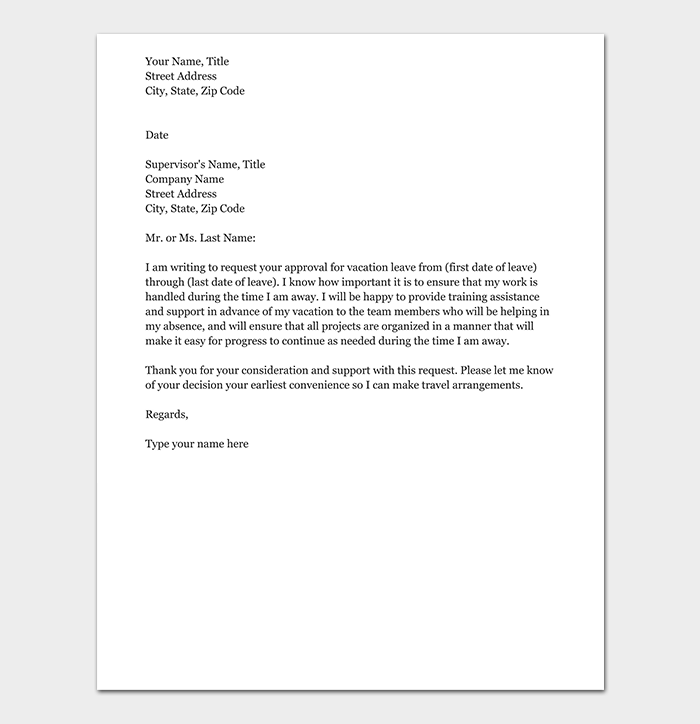 Here is letter format and some sample letters to help you. This letter should be written several weeks prior to your planned vacation. 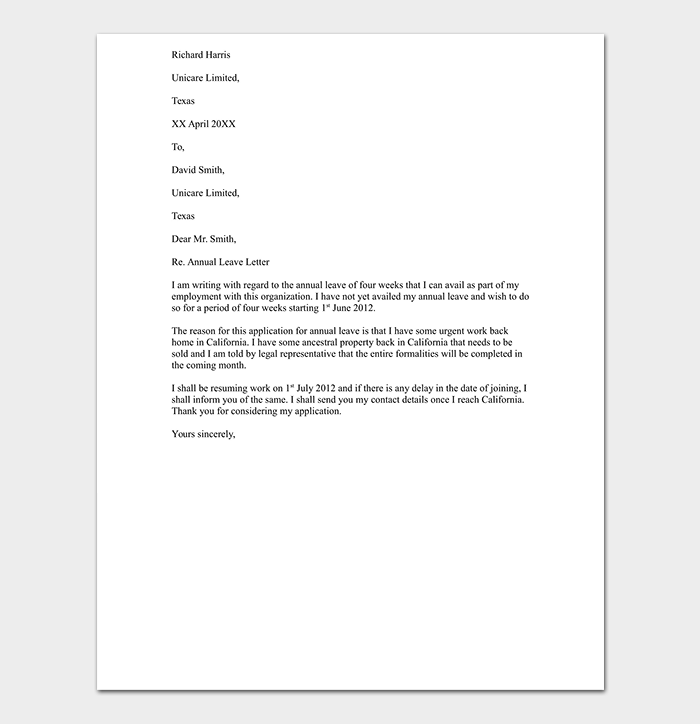 The letter should be short and precise and should also contain all the important information. Remember to research the vacation policies of the company you work for. 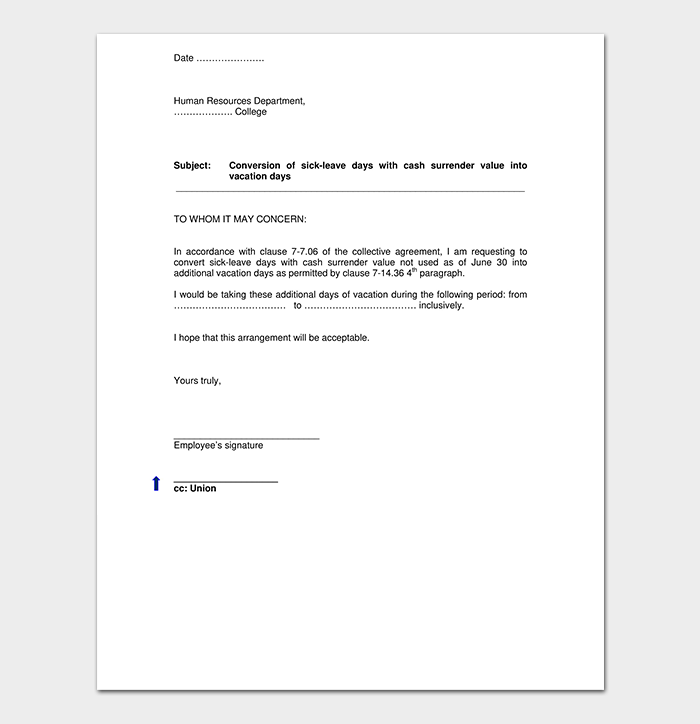 Ensure to fill all the forms and file them according to your company’s guidelines. The letter should also be written in a very formal manner. The reason for this request should be very clear and accurate. I am formally requesting for two weeks of vacation leave from (state your departure date and the date that your vacation is supposed to end). I will be back to work on (state the date that you expect to be back to work). State the reason for your vacation request. Explain whether you have finished all the projects that were assigned to you, if not then also explain how you have delegated those projects to your colleagues and how they will be done. Thank him or her for his time and consideration; provide him your telephone number for easier communication. 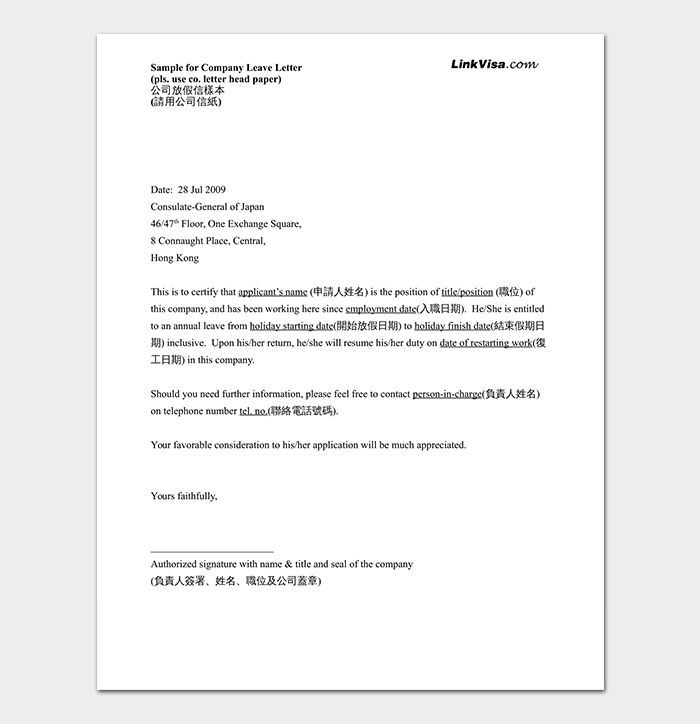 This is a letter written by an employee requesting his employer to grant him or her permission to take annual leave; it can also be written by a company to request its employee to take annual leave as part of the contract. 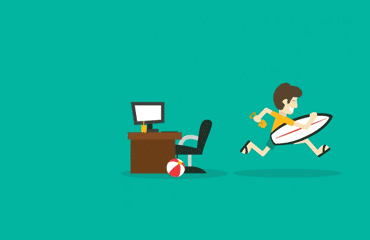 Annual leave can boost your staff’s morale; it can also make the employees more productive and less stressed. A simple letter written by an employee to his or her employer to give him a chance to take some time off from for a specific period. It is important for an employee seeking vacation to write this letter, this is because telling it verbally to your employer may not seem professional and it can also be easily forgotten. This is a letter written by an employee to his or her supervisor to request for leave from work because of unforeseen circumstances like death, illness or accident. This will enable you to have good communication with your supervisor and hence given leave to attend to that urgent matter. Indicate the date you would want to leave and the date you are to report back to work. Name the employees that will take over your responsibilities when you are away, explain how you have delegated your unfinished tasks. Show your gratitude to the supervisor or human resource and provide your telephone number. Remember: If your immediate supervisor has approved your request then remember to enclose his letter of approval and state their authorization.